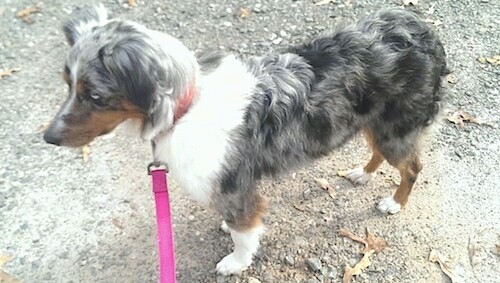 Paisley the Australian Shepherd at 6 years old—"Her nickname;"awwww",'cause that's what everyone says when they see her. 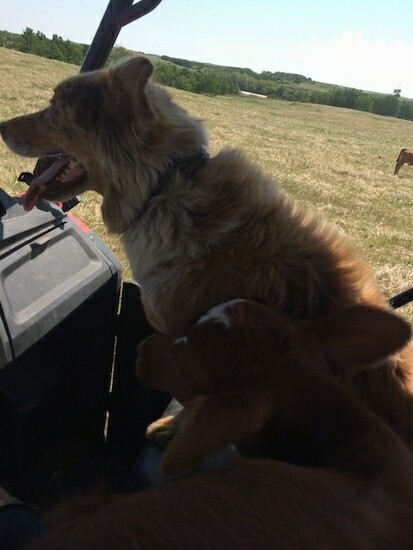 This is the most amazing dog, she herds cattle, that's all she does, no fetch, no leash, follows me everywhere, climbs into my bed too. 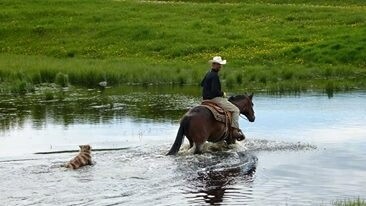 We compete in mounted stock dog trials at the local rodeo events, and county fairs. 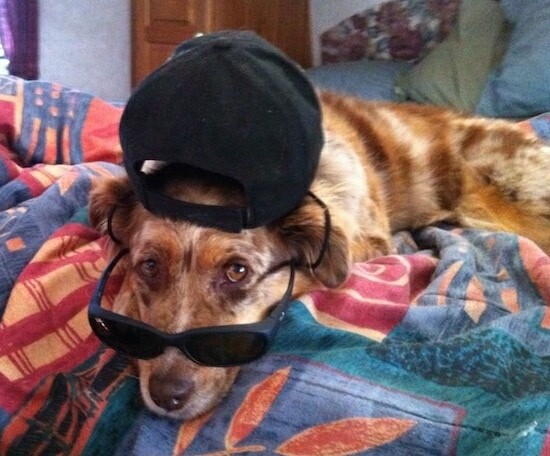 The smartest dog I have ever known, I love her more than anyone or anything in this world." 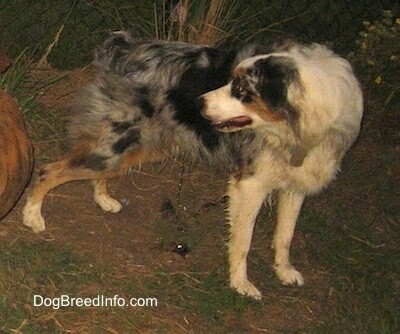 Paisley the Australian Shepherd at 6 years old following her owner. Paisley the Australian Shepherd at 6 years old sleeping on the bed. 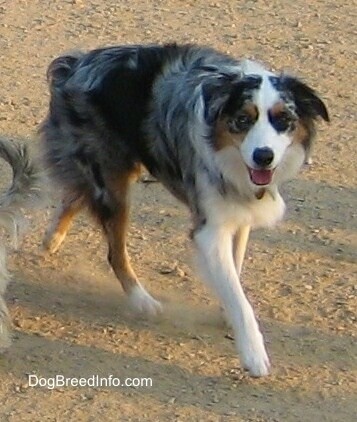 Skye the blue-eyed Australian Shepherd at 3 years old - "Skye is a registered Australian Shepherd. She was left outside in a pen for breeding from the time she was six months until I bought her out of that situation less than a week ago! I brought her home scared and withdrawn, but already she's made great strides and is bonding with me!" 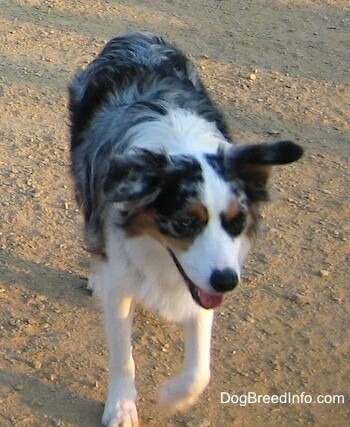 "Walker 1998-2007—Walker was from Texas, of course, but loved living in Florida. We offered him a margarita but he never was a drinker." 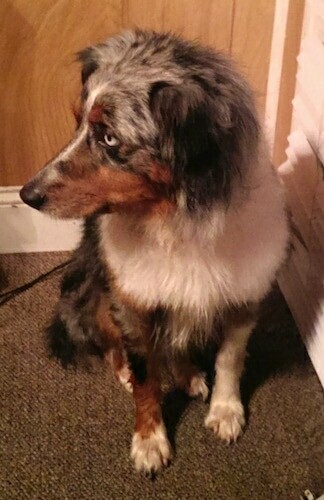 "Walker came to us from South Texas Aussie Rescue (STAR) at approximately 9 months old and became an immediate member of the family. Kristie Muck from STAR said that they had him for about 6 months and couldn't understand why he hadn't been adopted. She thought that perhaps everyone wanted a merle, not a tri. Their loss was our gain. Happy at all times, he wanted to be involved in everything we did. He was the official mascot of Katy Little League and was happiest when a kid was hanging on his neck." "Once we moved to Florida, he loved having a pool. We taught him to go in only from the steps and he never swam if we weren't with him. 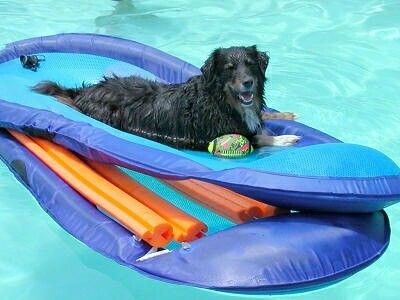 He did enjoy a good game of fetch in the water, though. 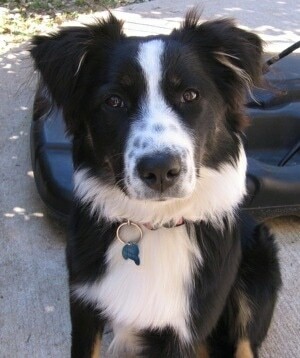 Walker's pleasures in life were Penny, his Aussie sister, his human family, and squirrels. He never harmed anyone or anything and was always a pleasure to be with." 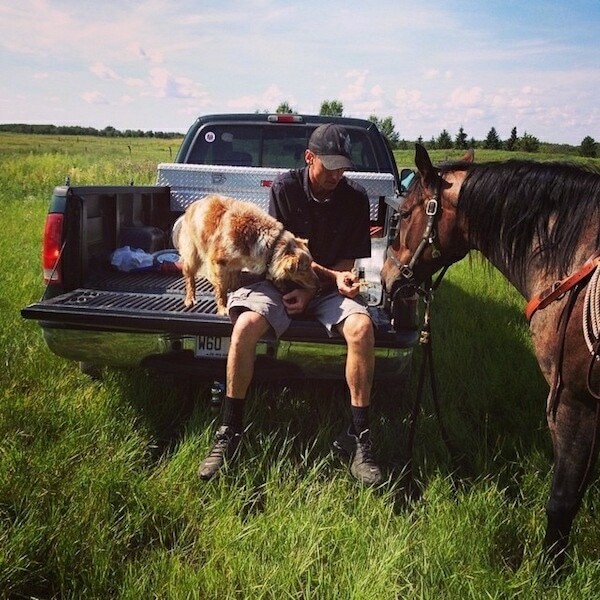 "We lost him this year to thyroid cancer and know we will never have another dog like him. We miss him." 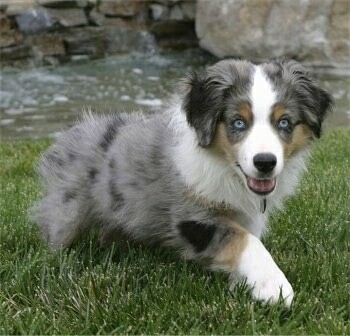 Marley the Aussie at 7 months old—"Marley is a lazy fat boy with a very sweet personality. He loves to chase squirrels and is a good fly catcher. Marley got his name from the well-known artist Bob Marley." 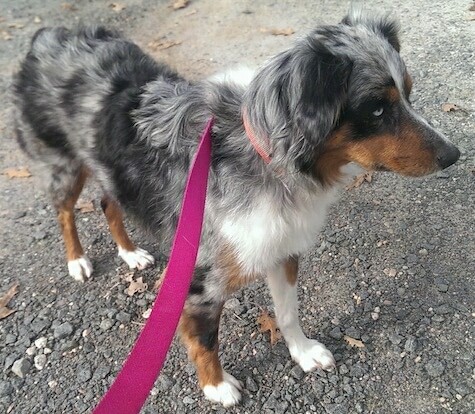 Jade the red merle Aussie at 10 months—"Jade is energetic with a love for the outdoors. She always has a smile on her face and loves to give kisses. 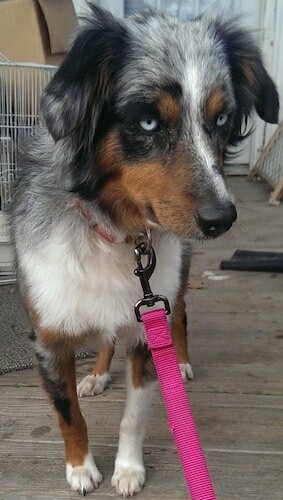 We chose her name because of the color of her eyes." 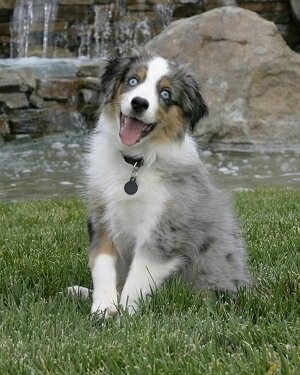 "This is my Australian Shepherd named Lassie. She is 6 months old in this picture. 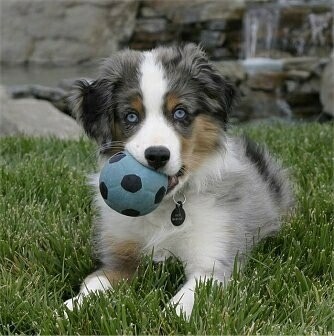 Her favorite game to play is soccer and she is really good. This is her latest graduation picture. As you can tell, she is gorgeous! I took this picture after she had finally calmed down. 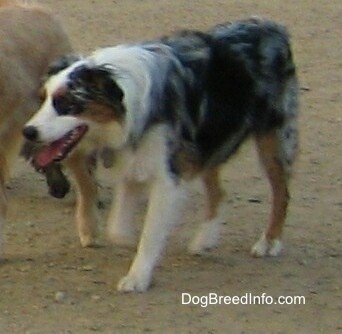 She is very smart and we taught her how to play tag, which is also one of her favorite games."